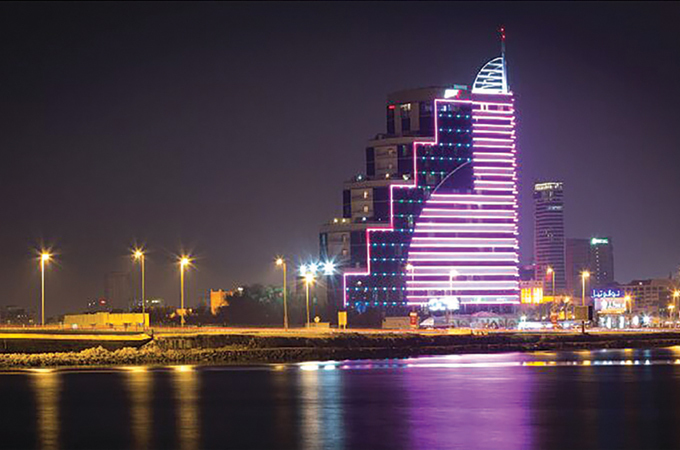 QUITE well known for its all-suite hotels, Elite Hospitality Group owns and operates four hotels and four service apartments, in all the prime locations of the Kingdom of Bahrain. The group will present its portfolio in the Arabian Travel Market. Over the last two decades, Elite Hospitality has set the benchmark for four-star service and redefined the food and beverage outlets. It has developed a loyal following from across the globe and continues to listen to the needs of the GCC travellers and offer modern concepts but with the traditional Arabian hospitality. The Elite family tree includes four all-suite hotels and four luxury residences, each property has its own uniqueness and exquisiteness. In Juffair, The Elite Crystal Hotel is a four-star luxury hotel, perfect for both business and leisure travellers, known for its contemporary interior designs and Arabian flair and offering an excellent combination of all-suite accommodations, luxurious facilities, efficient and personalised services to guests. Based in Muharraq, The Elite Resort & Spa is located just off Sheikh Hamad Causeway, with spectacular views overlooking the Bahrain bay. Elite Resort & Spa offers an oasis of tranquillity and deluxe modern suites complete with the latest amenities to provide the best stay to the guests, also it is considered as the perfect escape in the heart of the city. Situated in the centre of the exciting Seef district, Elite Grande Hotel’s biggest attraction is that it is right across the road from Bahrain City Centre, Bahrain's largest shopping mall. Offering plush all suite accommodation options and very convenient for families seeking shopping trips and family entertainment programmes. Nestled in the centre of the Kingdom’s main shopping and business district, Elite Seef Residence and Hotel offers the comfort of spacious suites with the fun of city living. Complete with elegant and modern furniture and a wide range of facilities to fulfil all needs and requirements. Elite Seef Residence and Hotel Stands out of the crowd with its very own ‘Kids Club’; offering great child care services and a wide variety of games and entertainment to keep children happy and busy during their stay at the hotel. All the hotels and service apartments are designed to serve the needs of the modern day GCC traveller and are the preferred choice for the international travellers who want to experience traditional Arabian hospitality. All four Hotels of Elite Hospitality Group offer an array of multi-cuisine and speciality restaurants, as well as a range of bars, executive lounges, state-of-the-art health clubs, wellness spas, high-speed internet access, conferencing and banquets facilities and nightclubs.